Urban Velo has a post up on the shop Montano Velo‘s bike brand, Broakland. Perfect for a 120mm spaced track bike! Edit: I completely misread this post. The solution Broakland came up with was to run disk brakes on a 120 spaced track bike. 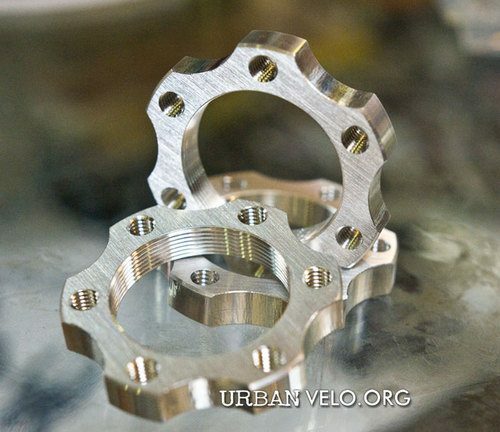 This adapter allows you to do that on a standard track hub.